Tell me, do you feel alive? 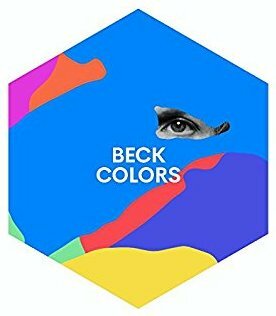 This is the title track for Beck's 2017 album, Colors. Beck has talked about the creation of the song a few times, mostly noting the complex nature of it and how much time it took. He told The Sun that there was "no easy way" to make a song like this. "We could have made 20 other songs in the time it took, but I am glad we made it," he added. At one point, it was something like 'The Clash doing a dance track'... it then evolved into Earth, Wind & Fire... then suddenly a psych rock fuzz guitar thing happened... then we found these gospel chords that ended up in the chorus. "Colors" was very roundabout coming into existence." And since the album was worked on over such a long period of time, he explained how, for example, the intro was from one year and the pre-chorus was from a few years later. The song is a spectacularly groovy disco track, with two different verses sandwiching a bridge, chorus, and some sort of windpipes/recorder/ocarina jam. It is definitely one of the more successful songs on Colors, the heavy construction and years-long construction still feeling natural as everything flows together, all the while maintaining a feeling of simplicity, as perhaps the best songs usually do. The reason "Colors" was the opening track was that it was the song that best let you in, as a representation of trying to bring elements of dance music and mix with harmony and jazzy/Beach Boys-style chords. He also has referred to early-era Michael Jackson, and the idea of mixing Jackson with something a bit psychedelic. Lyrically, the song is not particularly complex, sort of a love song. Maybe more accurately, a hope song. Getting through all the walls that block, or lost years, something better can be waiting for you on the other side (represented by the colors in his lover's eyes). Beck seems also to be saying, "we should get through it together." "Tell me, do you feel alive?" seems to be a question that will get answered throughout the rest of the album, as well. An official remix of "Colors" by French producers, The Picard Brothers, was released on Spotify. There were a couple of notable other versions, in which Beck had his opening acts come out during "Colors" to sing harmony. Twin Shadow did this at a show in Atlanta, and Kimbra did it in Alabama. Most interestingly, the Preservation Hall Jazz Band joined on "Colors" in Nashville. I know of no recording, but am very curious what jazz horns sound like on this song!